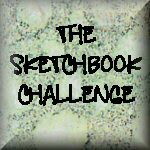 Have you checked out the Sketchbook Challenge yet? Well get your pencils out and head over to get inspired! 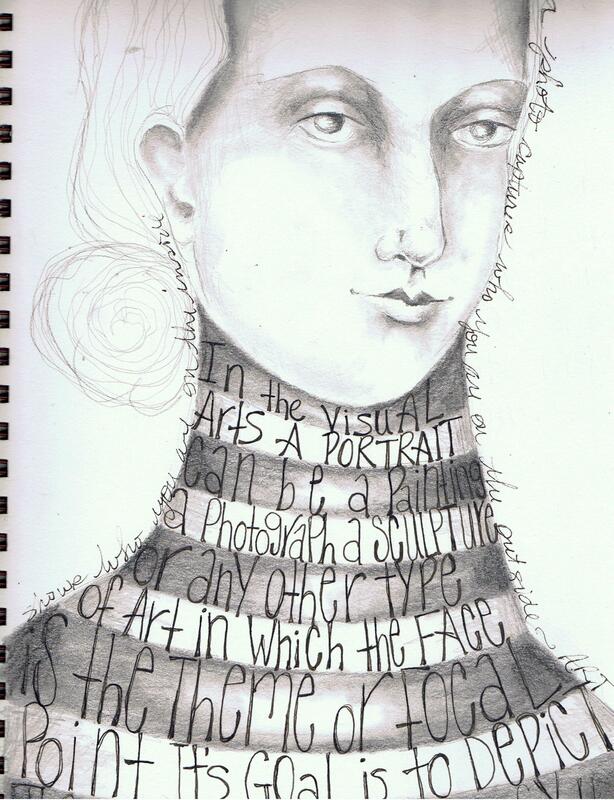 Sue Bleiweiss was kind enough to interview me about my sketchbooks. Sketching is such a big part of how I stay in a creative state of mind. There are many days that I don’t even make it into my studio as I take care of the business side of art, but by keeping my sketchbook close at hand I can still be creative. 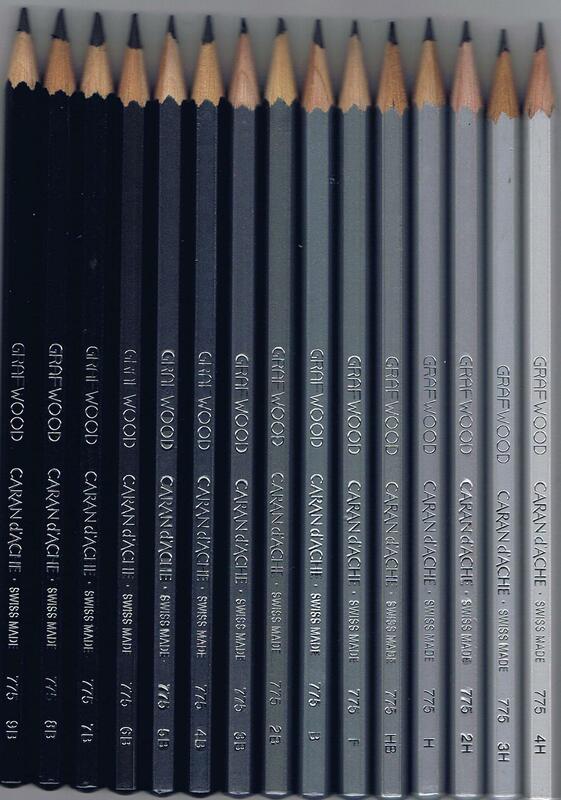 I also treated myself to these fabulous Caran d’ache gradient grey sketching pencils!! LOVE that they are color coded on the outside. I hate having to dig through my pencils reading those tiny little letters and numbers to get the right one. I got mine from a lovely little shop in Port Angeles WA called Art Supplies Unlimited. Also, have you seen the Cover Guy on the latest CPS Studios??? It’s Ty Pennington!! He is such an awesome creative and this issue looks to be chock full of inspiration to help get your studio in shape and your creative juices flowing! Also in this issue is an excerpt from my book, so be sure to pick up this issue as they’re expecting it to sell out with Ty on the cover! love these sketches. waiting patiently for your book to arrive on my doorstep! Thanks for inspiring me to sketch. I do everything but, oils, acrylics, sculpture…I know sketching is important. Also, I want to add that I took your class in creating journals and wasn’t expecting to learn anything I didn’t already know. Smug me. I learned a lot and I want to thank you. You are a very, very good teacher. Sooo exciting about your book coming out! It’s definitely a whirlwind so ENJOY it! 🙂 I can’t wait to check it out! Got my book today from Amazon! Luckily I finished my project for work before it came! Wanted to show you the book as my inspiration – but can’t find a way to send you a photo = so just know that it is right in the middle of everything! congrats on the birth of your newest younster!!! 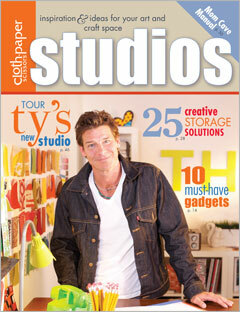 Wow that’s cool with Ty on the cover of STUDIOS and can’t wait to read about your new book. I so love CPS and was fortunate to be in their Winter edition with my studio here at the Love Shack. Your interview is great at the Sketchbook Challenge and I always love your woman in your art because they remind me of all the great ladies that I read about in my favorite historical novels. Very inspiring! Got your book this week that I had pre-ordered last year. I haven’t had the chance to look at it yet but I’m excited to get started. I’m so happy for the success you created for yourself. You deserve it all! Your work is brilliant and inspiring and you give so much. Now that you’re teaching at the retreats, I hope some day to finally meet you and give you a big hug. I would give my right leg for Ty Pennington to come do my craft areas. Wow, wow, wow.